So, the penultimate day arrives. Or rather arrived as it is now at an end. I bid my cousin farewell with the intention of seeing him again later in the day at a campsite somewhere along the Algarve in Portugal but even by 9am this morning I was feeling that I just wanted to spend the last 48 hours of the trip alone, just as I had done for most of the time since leaving the Temple of Poseidon on the 1st July. It was thus inevitable that I later texted him to say that I would be spending my last ‘official’ night of the trip in Faro, half way along the southern coast of Portugal alone in a hotel. Which sounds rather sad but it isn’t meant to be. I just needed to be alone… (I think someone beat me in saying something similar). Huelva to the border was fairly uneventful. My main initial preoccupation was to find somewhere to eat breakfast and then somewhere to sit and write about cycling day 48. 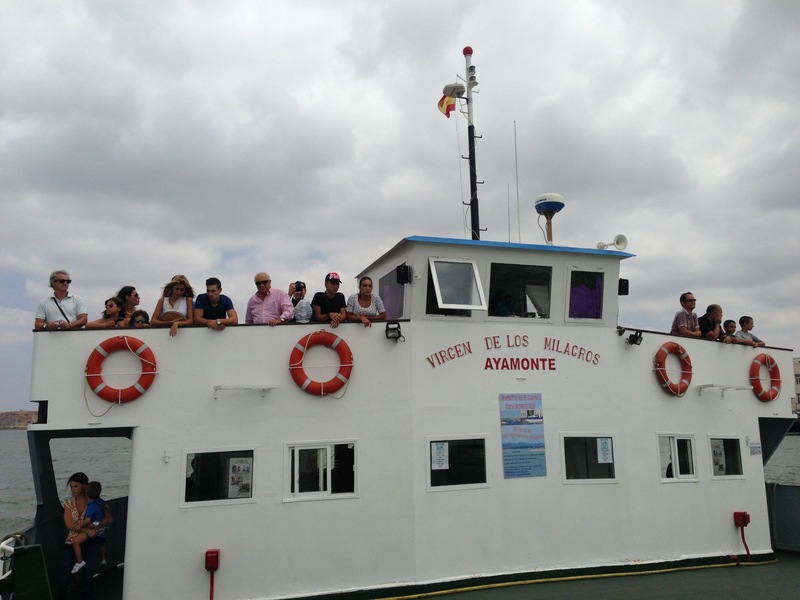 When I did eventually arrive in Ayamonte, the town on the Spanish side of the Spain-Portugal border I was a little disappointed. I was expecting some kind of fishing village with plunging vistas along the Algarve. I got a geographically flat town, strangled by cars and dominated by the usual tourist miscellany of souvenir shops and food outlets. 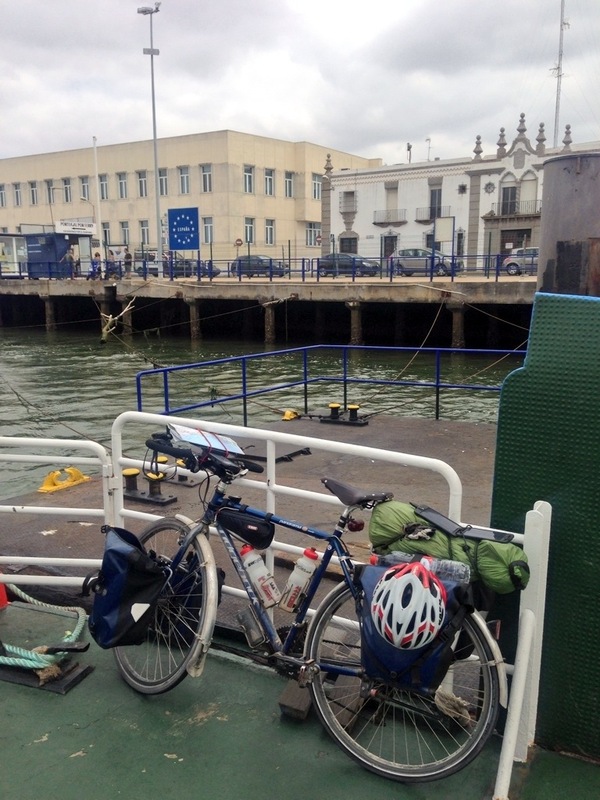 My reason for being there was to catch the ferry to Portugal but it wasn’t easy to find. There didn’t appear to be many (any?) signs pointing me in the direction of the boat but I did eventually find a converted fishing trawler which looked as though it was indeed the ‘ferry’. Expecting a hefty tourist-inflated price for the short crossing, I handed the guy who was sitting in the ticket office a €50 note and then felt guilty that I had deprived him of all his change when he charged me a very modest €2,80 for the trip. If I had known how to apologise in Spanish I would have done so. Once in Portugal, the tenth and final country of the trip, I was immediately struck with how different the town of Vila Real de St. Antonio was to its counterpart on the Spanish side of the estuary. Much more attractive and pleasant that the car-clogged town of Ayamonte. I ambled my way across the town and found the only thing that I could possibly moan about was the… cobbles. The plan was to follow the N125 along the Algarve. I wasn’t sure how far I would get but I was helped by the time difference between Spain and Portugal. Any progress I made westward I now had an extra hour in which to make it. Unfortunately the positive first impressions given by Vila Real were not maintained as I made my way out of town. The roads were Albanianesque in their quality. I also received my first piece of shouted abuse from an elderly couple in a car who told me I should be cycling on the cycle path on the opposite side of the road. I initially told them (in English of course) where to stick their advice but after a few hundred metres I did try to use the cycle path. Alas, as many cycles paths have been since leaving Cape Sounio on the 1st July, it was a frustrating experience being bounced up and down as the designated cycling areas swapped between official cycling path and road. I gave up and rejoined the proper road. 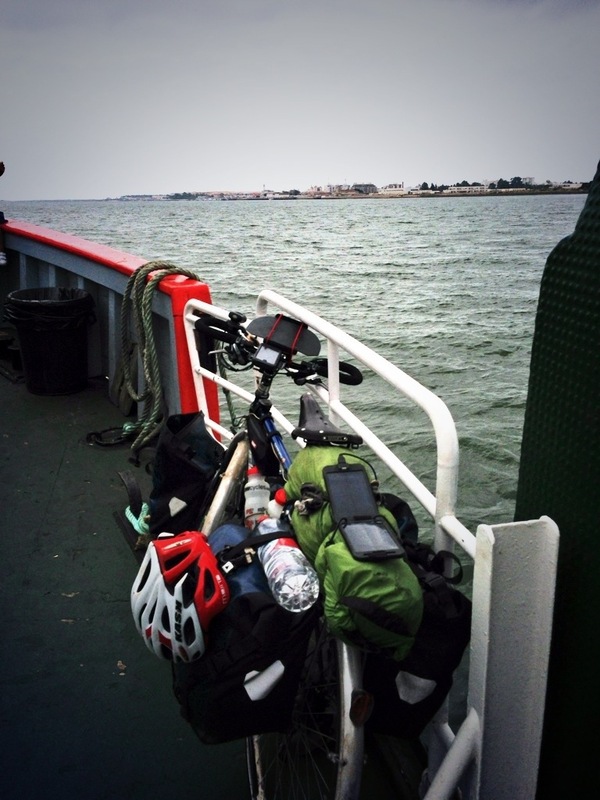 Hi Fiona – I plan to cycle Huelva to Faro next month – can you recommend me a better route, please? I have caught up just in time to end with you! I hope today goes well. I know what it is like to arrive, and it is normally a bit of an anti-climax at the time. No one else around seems to understand the gravity of the situation- why don’t they realise you have just cycled 5500km? Epic journey! Well Done. And you will enjoy reliving it as you write the book!! Enjoy your last day. Wow! This has brought a tear to my eye. What an amazing experience. Safe last day.